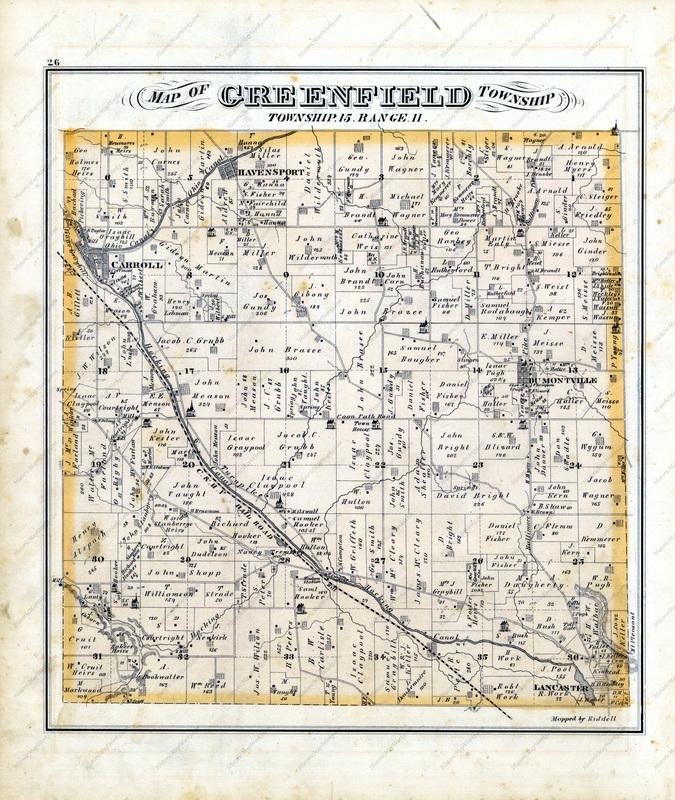 The Township Map above and the Business Directory below come from L H Everts & Co. 1875 Atlas of Fairfield County. The Map above shows who owns the property and the number of acres. The Business Directory below list the patrons who were willing to pay a fee to have their name and business listed.